TWER correspondents Kenny and Lauren Smith are in our nation’s capital today because the Smiths are everywhere, always, and they of course stopped by you know where and did you know what and snapped a picture. Looks like Dr. Keever’s assessment, that the tree needed pruning, was right on, because the top of the tree, from a certain vantage point, is basically beginning to bend over the Capitol building, almost as if it’s drawing our nation’s lawmakers close to its botanical bosom in the hopes that the indomitable Auburn Spirit will inspire them to seek honesty, truthfulness, etc. Whatever— just looks kind of cool, especially rolled. Thanks, Kenny and Lauren. See you soon, obviously. 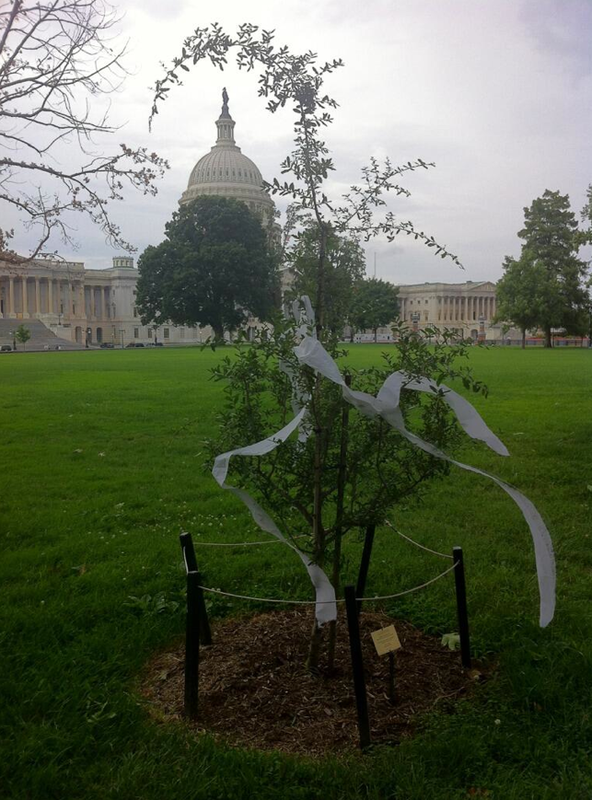 Hey WER, Just wanted to let you know that after your article a couple months ago about the Capitol Oak needing pruning… I called Congressman Mo Brooks’ office and let them know it needed to be done and got a return msg and still have the voice mail saying they were in contact with the landscapers and Auburn Univ about trimming the tree. Thanks for letting us know, Steve — that’s awesome.